"Grow It!" by Chicoro Giveaway!!! I've shared with you all time and time again, how dope, ill, fresh, fly, hot, fab, coo, etc that this book is. Click here for the review I did on it. Chicoro was kind enough to give me another copy for free. Since I already have and covet a copy, I'm giving this one away! All you have to do to enter is simply leave a comment saying I want in!, include an email address that I can get in touch with you (should you win) and you're entered. Winner will be drawn randomly on Friday, August 14th and winner will be announced Saturday, August 15th. Good luck! 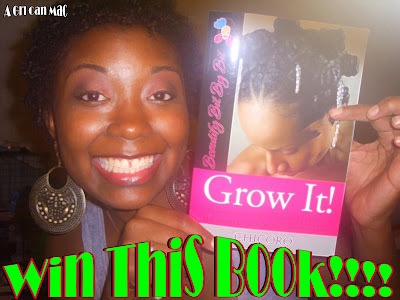 Yours is the first page I was able to find that showed me what I was up against going natural...Thank you... I'm convinced that this is the way for me!!! =) BTW...I want in! I want to enter in the giveaway... i have been looking for this book for the longest i just couldn't remember the name now that i found it gurl I WANT IT! Pruddy please :)!?! I want in, i've been looking for this book since seeing Chicoro fotki, i love her hair. My library is a little small. But if this book is as good as I've heard it is, then it's a keeper! just did my BC last weekend! i feel so liberated. love your blog, it's helped my a LOT. I want in! last year was the year of the distruction of my hair. May 2008, i colored my already permed and and got a sew-in for prom. my egdes fell out. for the remainder of that year my hair continued to fall out, but i never permed it again. i made a decision that i wanted to grow my perm out, which i did. this month im finally able to say that my perm is 100% out. 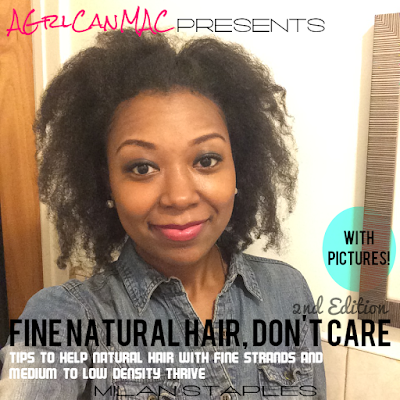 im learning how to take care of my natural hair the healthy way. ive been searching online like crazy. coconut cream conditioner, organix coconut milk, miss jessie all sound good. but is it really. im gonna try it but if i cud get a book with proven methods that would be excellent!! I want in! !Thanks for the chance. I want in!!! Thanks for such a wonderful, informative blog! I want in :o) Hooray - I made the deadline. i want in!!! thanx for this opportunity! Tiny & Toya: Are We Feelin It?